Those who are always in check with their carbon foot print will choose a Toyota Prius as their form of transport. Then there are those on the opposite end who prefer big lumpy V8s which have you at a game of chasing the gas needle every time you go out for a drive. People in that category will certainly not mind to be behind the wheel of a 1964 Imperial Crown Convertible. Much less one that has had some screen time in AMC’s hit TV show Mad Men. 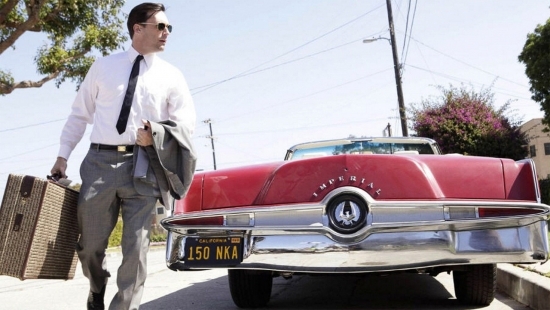 This specific car that’s going up for auction was driven by Jon Hamm’s character in the whow. It’s Hollywood notoriety may make it one of the most famous 1964 Imperial Crown Convertibles, but what makes this car even more unique is the fact that less than 1000 made and less than 200 in a convertible for 1964, that makes this a pretty rare catch. The car has seen some auction time in the past trading hands at $23,625 back in 2015. Now it will go up on the block again at an auction which will take place between June 1 to June 15. Word is buzzing around what Mazda plans to unveil this year at the 2016 New York Auto Show. 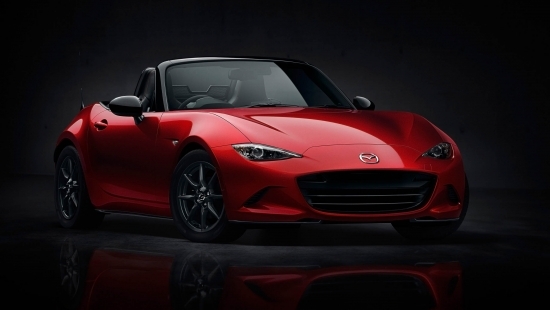 Some are speculating that the automaker will be dropping the news on a new power drop top version of the Miata. But nothing official has been yet released as Mazda wants to make the unveil at the upcoming auto show. The current generation of Mazda’s MX5 Miata has been in production since 2015 and debuted as a a conventional soft top 2 seater sport car. The word on the street is that Mazda is developing a power retractable hard top. For those of us who have always loved the look of a Miata with a hard top, this is going to be a great compromise giving us the best of both worlds. The key to making this successful is if Mazda can keep the light weight and agile nature of the Miata alive with the added weight of a retractable hardtop. The engine option for the Miata will likely stay the same with a 2.0L four cylinder engine producing 155hp. Not the most powerful engine to begin with, but when it’s put inside a light weight Miata it does make for a lot of fun. We can’t wait for this new model to drop at the New York Auto Show. The C43 name is not the first time to make its rounds in the Mercedes stable. This badge was first put on the W202 C Class in the 90’s. With the latest 3.0L twin-turbo V6 from Mercedes, the C43 badge will once again make its way onto the trunk lid of a silver arrow. 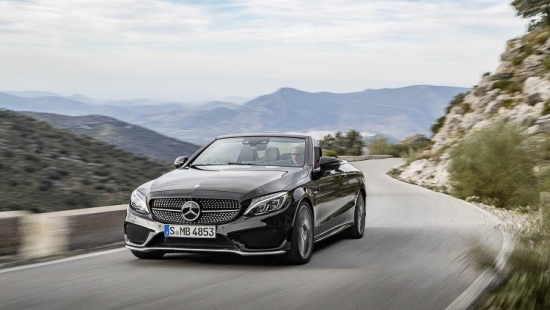 Mercedes new convertible C Class will be making its debut in showrooms later this year in the summer with the AMG version trailing behind in the fall. Mercedes is set to show off their new convertible at the Geneva International Auto Show to an eager audience. The C43 3.0L V6 biturbo engine that generates 362 hp and does a 0-100km/h sprint in just 4.7 seconds. Power is delivered via a a nine-speed transmission to all four wheels. Buick unveiled their Avista coupe concept car recently at the 2016 Detroit Auto Show but no additional news has been shared by the company about its production. The concept coupe is rumored to potentially utilize a 3.0L V6 with twin turbos capable of pushing out 400hp to the rear wheels. 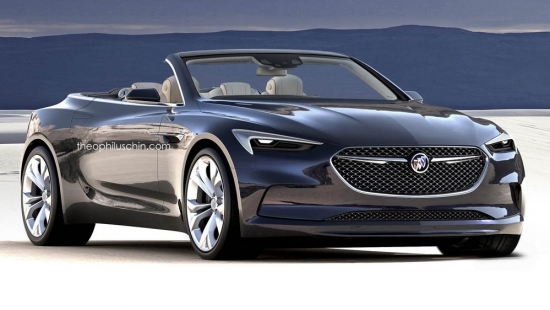 The concept coupe could be the first rear wheel drive vehicle produced by Buick since the mid-90’s. Along with images of the coupe flooding the digital world, renderings of a convertible concept are starting to make headlines (photo credit: theophiluschin.com). If either the coupe or convertible goes into production, these vehicles will be taking Buick to a whole new level of design. I might be a little biased, but for me a real Mini should really be…well…mini. Even though the Mini Cooper company has brought out various models under the brand name, the original Mini Cooper of the new batch still stays truest to its name. 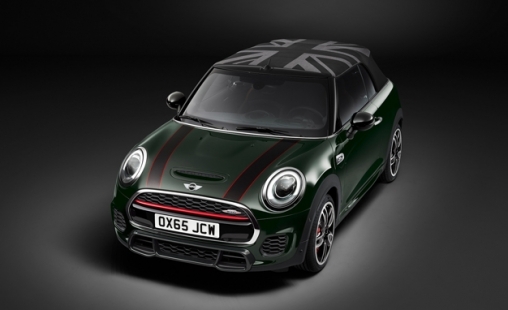 For 2016, the Mini Cooper convertible will be getting some additional paint options to freshen up the exterior. There will also be an optional Malt Brown leather interior trim with some oh-so-nice diamond patterned stitching. Engine options will range from a turbocharged 1.5L three-cylinder engine with 134 hp or a 2.0L turbo four-cylinder with 189 hp in the Cooper S model. For consumers looking for even more power, the John Cooper Works package bumps power output to 228 hp and 236 lb/ft of torque. The JCW package will also include a sport exhaust, custom body kit, a performance oriented suspension, and upgraded Brembo brakes. Look for the Mini Cooper Convertible hitting showroom floors this March and expect pricing to range from $26,800 to $36,450 USD. Mercedes started their press conference by talking about dream cars. They discussed and showed all sorts of convertible top vehicles from the very first Mercedes-Benz, which incidentally was the first automobile, the pinnacle of performance and luxury, the Mercedes-AMG S65 Cabriolet. It has a commanding presence in person. The V12 motor, which was revved during the press conference, sounds divine. Mercedes is one of the few manufacturers that offers their V12 is a vast range of cars, from the G65 to the ultra luxury Mercedes-Maybach. Let’s not forget that Pagani cars also uses the very same V12. Enjoy our photos of what I would call, unobtainium. A convertible crossover isn’t for everyone. Actually, based on public reception to Nissan’s Murano open top vehicle, it’s probably not to the taste of a large part of the general public. 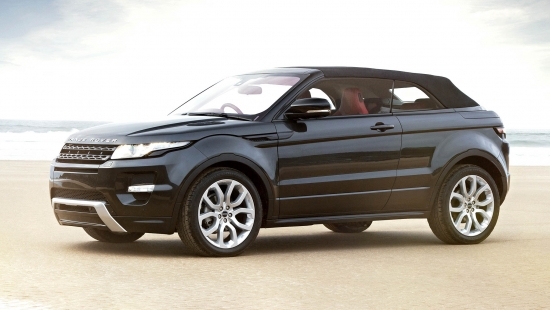 But that won’t sway the folks over at Range Rover and their plans to release an open top version of their Evoque. Range Rover’s convertible will be based on the two door version of the Evoque which is a less practical vehicle to begin with. The Evoque does have a strong name and appeal going for it so I, like others, will have to wait to see how the public responds to Range Rover’s new addition. The Mercedes-AMG S65 is like a Johnny Walker Blue Label in that it exudes sophistication and luxury. One might ask, how can you one up this level of class? One way to do so is to lob the top off the car and allow yourself to bask in warm glowing sun while you cruise the streets planted in the supple leather seats. The S65 convertible is based largely on the S65 coupe which means much of the exterior aesthetics remain as Mercedes intended. The car will continue to be powered by Mercedes twin-turbo V12 which churns out an astonishing 630 hp all channeled to the rear wheels via their AMG 7G-tronic seven-speed automatic. 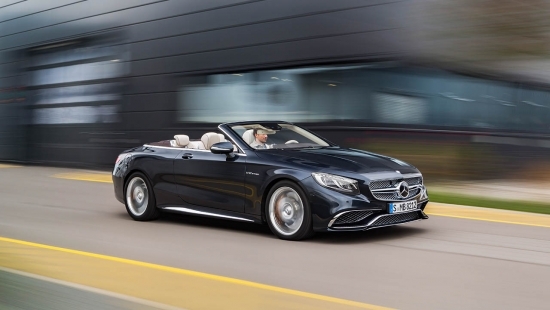 Mercedes claims that structural rigidity of the convertible is on par with their coupe S65 without increasing the overall curb weight of the vehicle. Inside, you are greeted with all the high end standard S-Class level trim which includes a heads-up display, Burmester 3D surround sound audio package, Mercedes Airscarf leather seats, and their Driving Assistance Package. 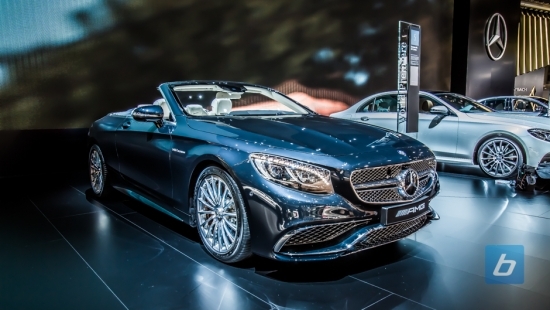 Look for the S65 convertible to hit showroom floors around May 2016. The Boxster is one of the most fun convertibles in the Porsche lineup. Lightweight and nimble, the Boxster is the one to take through the mountains on a spirited drive. 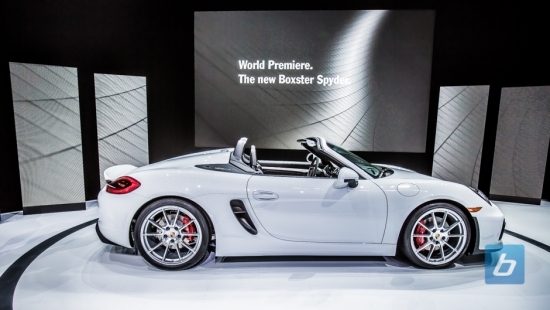 The newly unveiled Boxster Spyder improves on the Boxster by cutting even more weight. The roof is now manually raised and lowered, and with a manual being the only transmission choice, these changes drop weight even lower than the standard Boxster. Powered by a 3.8L flat six, the Boxster Spyder features a stiffer and lower (by 20mm) suspension setup, a smaller steering wheel, as well as brakes from the 911 Carrera S. The 0 to 60mph sprint drops to 4.3 seconds, and keep the throttle buried long enough, will reach a terminal velocity of 180mph. Check out our gallery below live from the New York Auto Show unveil. 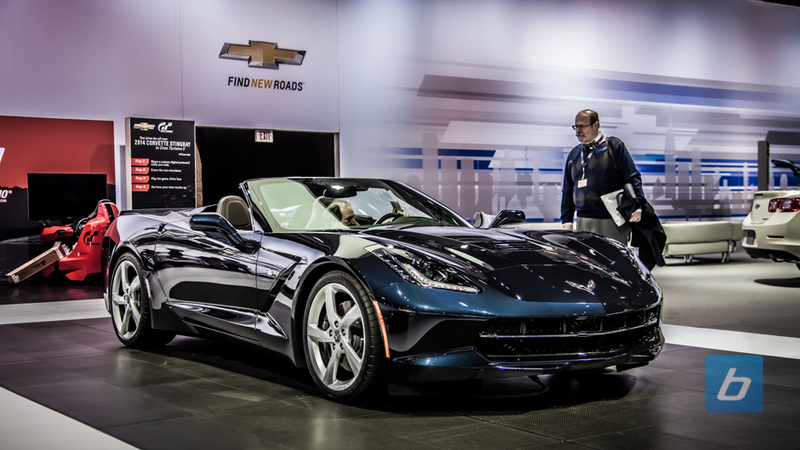 It may have been overshadowed by the announcement of the new Camaro Z28 at the New York International Auto Show, but the new C7 Chevy Corvette Convertible certainly deserves your attention. Being a car that was built from the start to be a convertible, it’s got none of the boxy look, poor weight distribution or chassis flex that an afterthought convertible does. This makes the C7 vert almost identically potent to the coupe version, and that means it’s even more desirable to people like me. Take a look at the gallery and let us know which one you’d have.